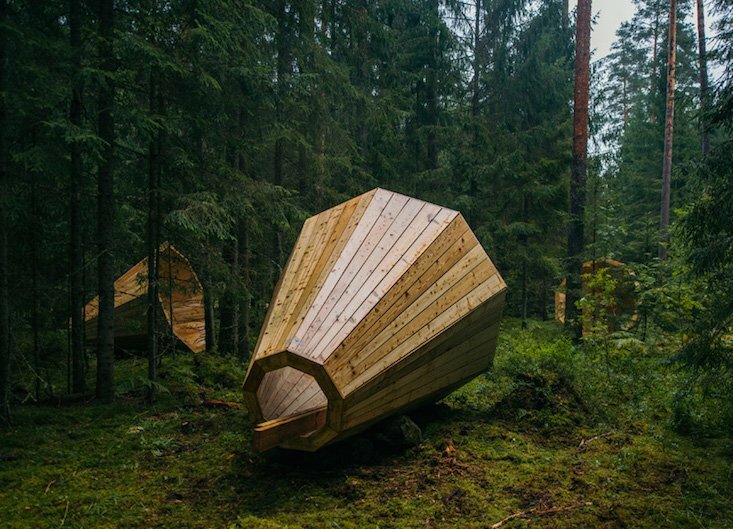 A group of architecture students from the Estonian Academy of Arts has installed three huge wooden megaphones in a forest to amplify the sounds of nature. 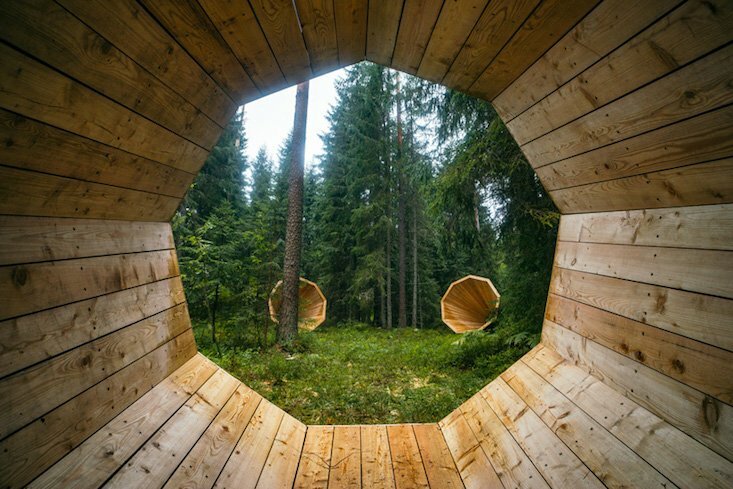 The megaphones, which can be found at at the Pähni Nature Centre in the RMK Haanja–Karula Recreation Area in the south of Estonia, have a diameter of 3m and are large enough for visitors to the forest to sit inside. 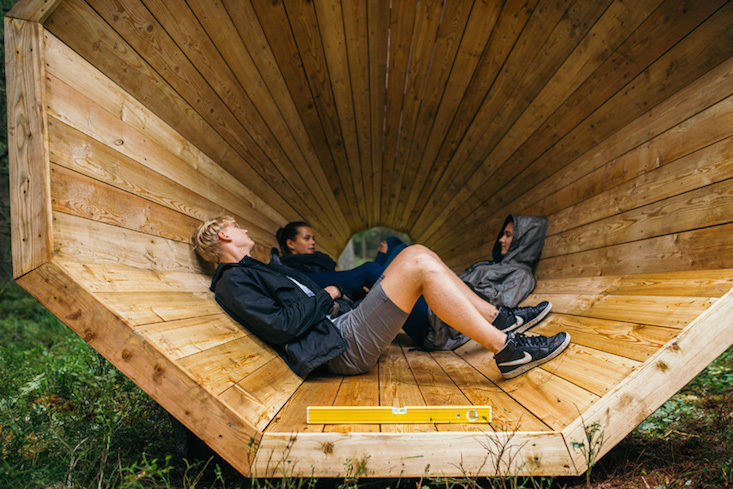 Hannes Praks, head of the interior architecture department at the Estonian Academy of Arts, said that the megaphones “will operate as a ‘bandstand’ for the forest around the installation”. Author and semiotician Valdur Mikita, who has written on the significance of the forest in Estonian culture, praised the project as providing an opportunity “for listening to and reading the forest through sound”. It is also anticipated that the megaphones will be used as small stages for events in the forest. Just over one half of Estonia (50.6%) is covered with forest, and walking or rambling in these areas is a popular national pastime.